Nuance Interior Design is an expert in color with all the subtle variations. Our paint color consultant uses both Sherwin Williams and Benjamin Moore professional paint consultation tool kits. Nuance will meet with you in your space to evaluate every element of your home, from light, art, existing furnishings and finishes. We offer advice that is tailored to your tastes and lifestyle working with you to transform it with new color. Painting is the most cost-effective way to transform a space but can be an overwhelming commitment. Our service takes the stress out of the process and leaves you with the confidence to update or reinvent. Our paint consultations include reviewing the impactful elements in each space and tying them together of a cohesive color palette that is consistent throughout the home. Having smooth transitions from room to room and infusing personality is key for creating a house you’re excited come home to. We also offer paint consultations for clients looking to sell their home and creating a fresh, neutral environment for potential buyers. Our paint color consultant can partner with you regardless of your project scope and it isn’t just for full-scale renovations. It can simply be for a refresh or fixing a challenging space. This is an invaluable service regardless the size or scope of your project. The paint consultant will help you choose the perfect colors, create a custom color palette, and provide product and overall project recommendation to give your space a professional and finished appearance. 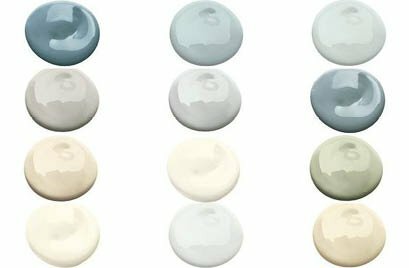 Nuance Interior Design’s paint consultation will provide a write-up with the color name, paint code, sheen and location details for your painter or contractor. You will also get to keep the 4” square chips from the paint consultation and then 8”x11” sheets shortly after to tape up on walls so the client can see the color in different lights throughout the day without having to paint swatches.